Dune 27,5, Stealth full Carbon, Zero Suspension System, Forward Geometry, carbon upper link, 12x142mm rear axle, 73mm BSA bottom bracket, MAX. capacity sealed bearings, internal cable routing, ISCG 05, dedicated 1x drivetain design, ISCG 05 carbon protector, carbon mudguard. 160mm travel. *Optional Geometry kit. Fox 36 27,5 Float Grip EVOL Performance 170mm, Lever with 3 positions plus intermediate positions in low/high-speed compression. Tapered head tube, 15x110mm axle. Settings: rebound, high/low-speed compression to lock, air preload. Onoff Titan internally Tapered for 1-1/8” -> 1/5” head tube. ACB sealed bearings, top 41.8x30.5x8x45?x45?, bottom 51.9x40x8x45?x45?. SRAM NX16000 series aluminium, 24mm axle, chain ring with Direct Mount, 170mm crank arm length in S/M size and 175mm in L/XL size. 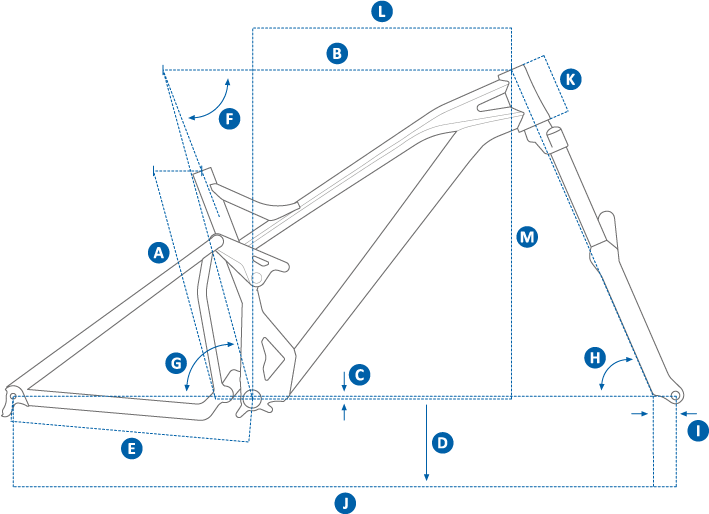 *Optional Geometry Kit: chainstay adapters to 440mm. Headset cups de /- 1?. Brake adaptors to 440mm.